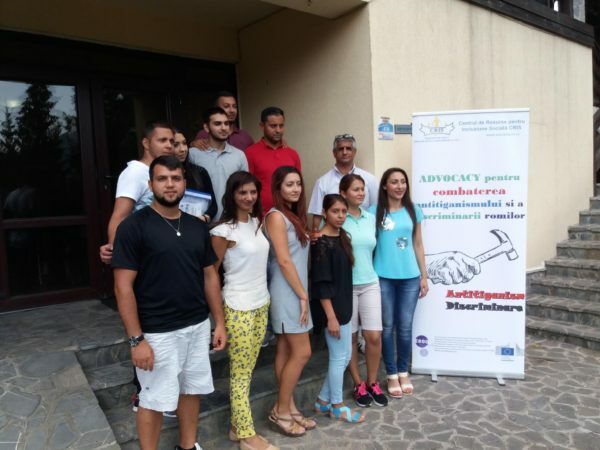 Between 14 -16 August, the association Center of Resources for Social Inclusion CRIS, ERGO member, organized a training course on ‘Advocacy for combating antigypsyism and discrimination towards Roma’. The training was organized in Sinaia, Romania for ten Roma students and higher education graduates from Prahova County. Today, the ten participants are good friends and well-trained in undertaking advocacy for combating negative attitudes towards Roma in Romania and not only, as they said after the training. All because they understood that if they do not train and do not get involved, tomorrow they can be the next victims. The training is part of CRIS’ Annual Work Plan 2017 in cooperation with ERGO Network. It has received financial support from the European Union Programme for Employment and Social Innovation “EaSI” (2014-2020).